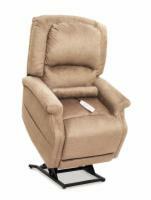 Suede upholstery is one of our most popular fabrics for lift chair recliners. Its soft, comfortable texture makes it a perfect choice for your lift chair. 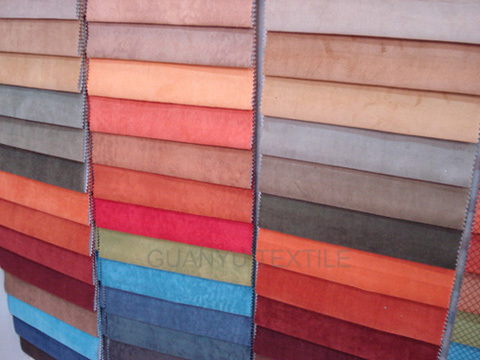 Suede is made by splitting genuine leather to create a plush velvet-like fabric. It is susceptible to water damage and staining. It is recommended that suede be cleaned with a dry sponge or specialized suede brush. It can also be treated with a silicon spray and then rubbed with sandpaper or an emery board; the silicon makes the fabric more resistant to water damage and soil build-up, and the sandpaper will restore the softness of the material once treated. Due to its delicate nature, we do not recommend suede upholstery for buyers of lift chair recliners with pets or small children. 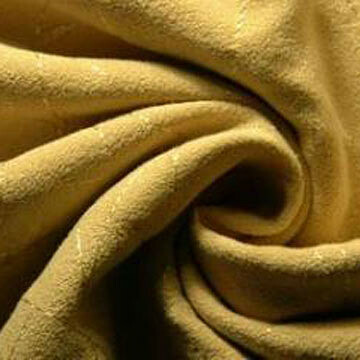 Micro-Suede is a man-made knit blend of polyester fibers nearly a hundred times finer than human hair. 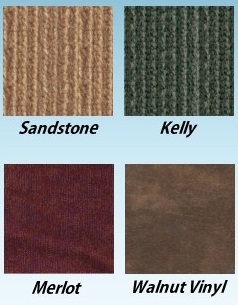 Although similar to normal suede, Micro-Suede is softer and easier to clean. As an upholstery for lift chair recliners, it is especially prized for its durability and resistance to dirt. Spills are easily cleaned by wiping with a dry cloth because liquids bead on Micro-Suede. 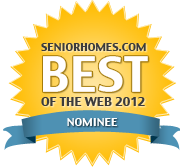 However, rubbing water into the fabric can cause permanent staining, so gentle cleaning with rubbing alcohol is advised. Stiff spots may form in Micro-Suede after cleaning, but this can usually be fixed by gently rubbing the surface with a soft brush. A luxury fabric for lift chair recliners that has been manufactured for nearly 4,000 years in some form, velvet is composed of silk, cotton, or similar synthetic fibers. It easily absorbs most dyes, creating lustrous color effects. 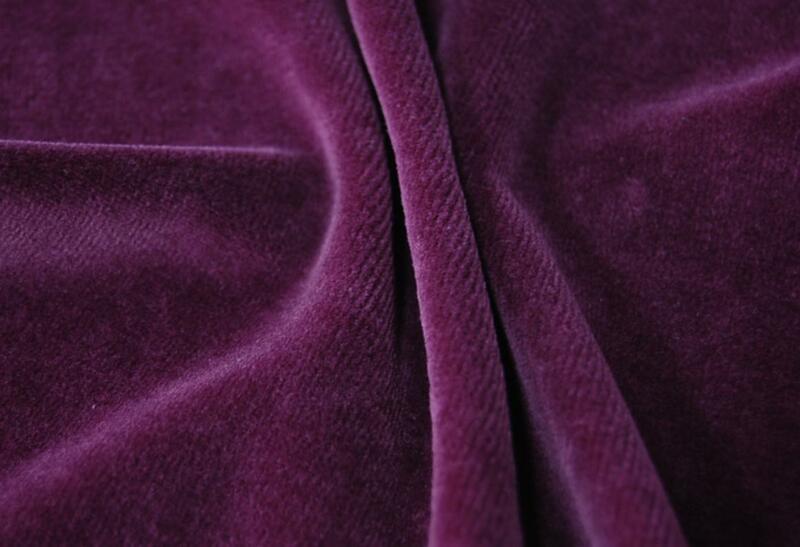 Velvet is a fragile fabric that requires careful maintenance. We do not recommend this fabric for buyers of lift chair recliners with pets or small children. 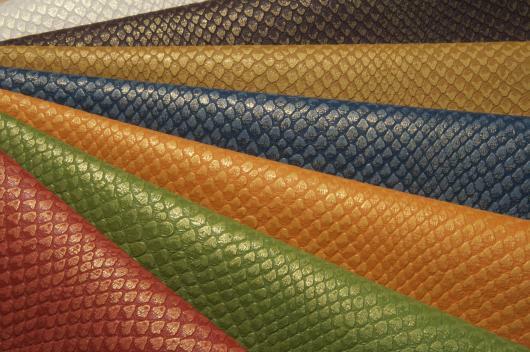 Often referred to as faux leather, vinyl is a plastic resin derived from chlorine and ethylene. It is a non-breathable fabric, which allows it to absorb and contain heat. Vinyl is an excellent alternative to genuine leather for the thrifty lift chair recliner shopper. It is also fully recyclable. California's Technical Bulletin 133 is a regulatory code for furniture used in public buildings and areas for public assembly in the State of California. 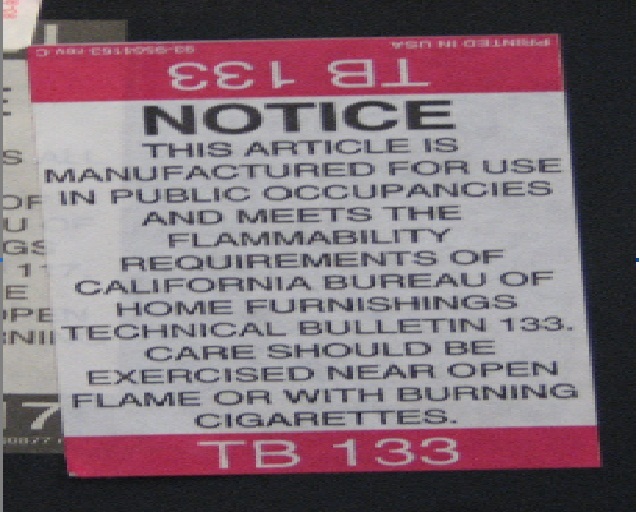 Fabrics which meet TB133 compliance are subjected to a large open flame in a specially designed test area where temperature, smoke opacity, and carbon monoxide concentration are measured. We offer a small selection of TB133-compliant fabrics for our lift chairs to facilitate the needs of customers in that state. TB133-compliant fabrics may eventually become the industry standard in the long run, because other states are modeling legislation of flammability ratings for fabrics after California's code. 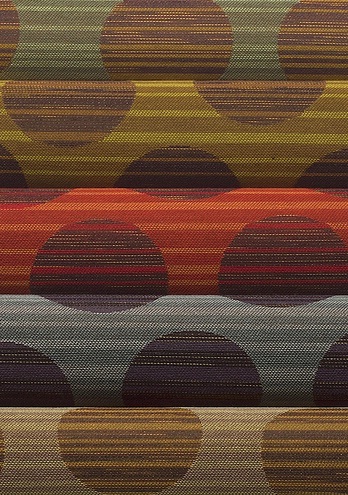 Crypton fabrics boast a slew of positive features to enhance your lift chair experience. These upholstery fabrics are resistant to stain, moisture, mildew, bacteria, and odor. A very popular choice among commercial users, over 70 million yards of Crypton fabrics are installed worldwide, and preferred by such high-profile corporations as Marriott, Hilton, Carnival Cruise Line, Kaiser Permanente, and McDonald's. Crypton prides itself on creating textiles which are easily cleaned and disinfected, but they highly recommend using their brand of cleaners to do so. Crypton's cleaners come in three varieties. Crypton Purple is formulated to remove ink, grease, and oil stains so that errant drops of mayonnaise and imaginative applications of crayon to your lift chair recliners will no longer pose a problem. Crypton Gold can remove most protein-originated stains, from messy food stains like chocolate and red wine to organic stains from blood and urine. Finally, Crypton Green, a disinfectant and deodorizer, has been EPA-certified as an environmentally-safe product, and prevents the growth of more than 48 bacteria and viruses - including mold, mildew, bird flu, and even HIV. The most popular upholstery surfaces chosen by our customers to adorn their Pride lift chair recliners are Pride Mobility's own Quick Ship fabrics. Currently available in Moss, Marine, Wine, Wheat, and Taupe, Quick Ship fabrics are easy to apply to a base lift chair model, ensuring a faster ship time from the point of sale. Generally, if you opt to have your lift chair recliner covered in a Quick Ship fabric selection, your order can be processed and shipped within 48 hours. Though the color selection is narrower than more expensive fabrics, the range of offerings remains wide enough to find a color that is sure to fit in with your existing home decor. 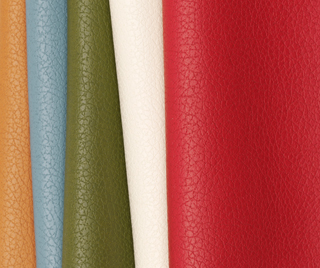 Ultraleather offers the look and feel of leather, but is more durable than genuine hide upholstery. With a durability rating 13 times the industry standard for heavy-duty fabrics and built-in stain resistance, this water-repellent polyurethane upholstery is built to outlast the trials of an active, bustling lifestyle, such as wear-and-tear from pets and children. Most stains can be removed from lift chair recliners covered in Ultraleather with the use of water, soap, and/or common alcohol-based cleaning solutions. Ultraleather is also highly resistant to temperature changes, remaining cool to the touch even when exposed to direct sunlight and resisting the stiffening and cracking of normal leather in cold weather. This upholstery can be easily disinfected without damaging the fabric by using a basic 5:1 water/bleach solution. Ultrafabrics utilizes a number of production techniques which are specifically engineered to minimize the environmental impact of their fabrics. Ultraleather is free of formaldehyde and all other carcinogenic VOCs and POPs, and is manufactured using a process which recaptures 99% of all solvents, minimizing the carbon footprint of your lift chair and making Ultraleather a healthier choice for our planet and your family than traditional leather and vinyl upholstery. 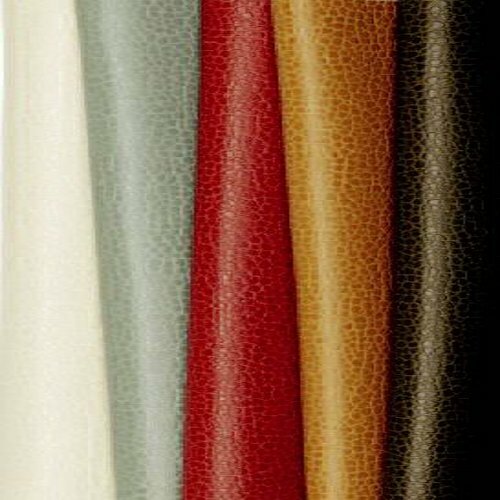 Brisa is a rayon-backed polyurethane surface similar in many ways to Ultraleather. While it is less durable than Ultraleather (six times the industry standard for heavy-duty fabrics), Brisa is more temperature-resistant. The fabric is designed to self-ventilate, ensuring that Brisa upholstery remains cool to the touch even after long-term exposure to the harshest sunlight. Brisa is stain-resistant and easily cleaned with water, soap, and/or common alcohol-based cleaning solutions. This upholstery can be easily disinfected without damaging the fabric by using a basic 5:1 water/bleach solution. This fabric is an excellent choice for a lift chair that will be used on a sun porch or other converted spaces where sunlight and moisture may be more prevalent than other interior areas of your home - Ultrafabrics has specially designed Brisa to be resistant to color fading as well as mold and mildew, making it an excellent choice for lift chair recliners that are used in humid or sunny areas. Ultrafabrics utilizes a number of production techniques which are specifically engineered to minimize the environmental impact of their fabrics. Brisa is free of formaldehyde and all other carcinogenic VOCs and POPs, and is manufactured using a process which recaptures 99% of all solvents, minimizing the carbon footprint of your lift chair recliner and making Brisa a healthy choice for our planet and your family.